This article is about the ancient city of Magna Graecia. For other uses, see Sybaris (disambiguation) and Sibari. The city was founded in 720 BC by Achaean and Troezenian settlers. Sybaris amassed great wealth thanks to its fertile land and busy port. 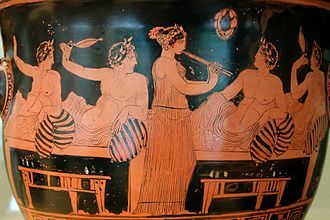 Its inhabitants became famous among the Greeks for their hedonism, feasts, and excesses, to the extent that "sybarite" and "sybaritic" have become bywords for opulent luxury and outrageous pleasure-seeking. In 510/09 BC[A] the city was subjugated by its neighbor Kroton and its population driven out. Sybaris became a dependent ally of Kroton, but Kroton again besieged the city in 476/5 BC, probably resulting in another victory for Kroton. Two attempts to reoccupy the city failed around 452/1 BC and 446/5 BC when the remaining Sybarites were again expelled by the Krotoniates. 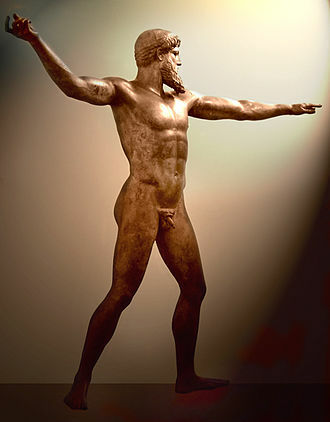 After a call for help the Sybarites reoccupied their city later in 446/5 BC with the assistance of new settlers from Athens and other cities in the Peloponnese. This coexistence did not last long: the Sybarites got into a conflict with the new colonists and were ousted for the last time in the summer of 445 BC. In sum, the city saw a total of five periods of occupation separated by expulsion. The new settlers then proceeded to found the city of Thurii in 444/3 BC, a new colony which was built partially on top of the site of Sybaris. The surviving Sybarites founded Sybaris on the Traeis. The ruins of Sybaris and Thurii became forgotten as they were buried by sediment from the Crati river over time. The ruins were rediscovered and excavated in the 1960s by Donald Freeman Brown. Today they can be found southeast of Sibari, a frazione in the comune of Cassano allo Ionio in the Province of Cosenza, Calabria region, Italy. Strabo and Diodorus Siculus write that the city was situated close to the sea and lay between the Crathis and Sybaris rivers (from which the city derives its name). Most modern research places the city on a coastal ridge near a wetland lagoon. In the present the rivers are known as the Crati and Coscile. Today the Coscile feeds into the Crati about five kilometers from its mouth, which then passes just south of the archaeological site of the city. When Sybaris was still populated the Coscile pursued a direct course into the Gulf of Taranto, probably at a short distance to the north. The city lay on a plain that was renowned for its fertility. Sybaris was founded in 720 BC according to Pseudo-Scymnus. Strabo mentions it was an Achaean colony and that its oekist (founder) was Is of Helice, a city in Achaea. Aristotle writes the Achaeans were accompanied by a number of Troezenian citizens, but they were eventually expelled by the more numerous Achaeans. 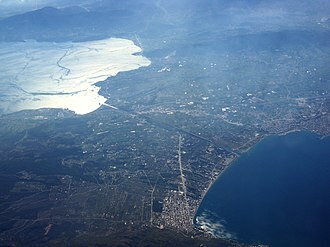 According to legend the city was founded by Sagaris, the son of Oïlean Ajax. The authenticity of the name of the oekist is uncertain. Strabo is the only source for the name of the oekist, which might be a corruption of [Sagar]is or [Sybar]is. Further complicating the issue is the appearance of the letters Wiis on coins of Poseidonia. [B] This has been interpreted as a confirmation of Strabo's account because Poseidonia is thought to be a colony of Sybaris. Diodorus Siculus describes how Sybaris had amassed great wealth and a huge population as a result of its fertile farming land and its policy of admitting aliens to its citizenry. He calls it the largest city in Italy and states that it had 300,000 inhabitants. This number of inhabitants was certainly exaggerated but Sybaris was nonetheless a linchpin of Magna Graecia. Ephorus gives a figure of 100,000 inhabitants, which is perhaps closer to the truth. Strabo writes that its inhabitants on the Crathis occupied a circuit of fifty stadia (over 6 miles (9.7 km)). Furthermore, he explains that Sybaris was a dominant power in the region which ruled over four tribes and twenty-five subject cities. The inhabited area of the city occupied approximately 500 hectares (1,200 acres). The Oenotrian city Pandosia was one of the settlements which seems to have been controlled by Sybaris. In the second half of the seventh century BC the Sybarites apparently took over the sanctuary of Athena on the Timpone della Motta from the Oenotrians. 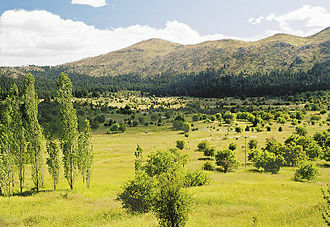 They celebrated large festivals regularly on this hill, which was located 15 kilometers to the northwest of their city. Sybaris extended its dominion across the peninsula to the Tyrrhenian Sea, where it is thought to have founded its colonies Poseidonia, Laüs and Scidrus. Poseidonia was founded in approximately 600 BC, but it is unknown when the latter two colonies were founded. Descriptions of the wealth and luxury of Sybaris are plenty in the ancient literature. Smindyrides was a prominent citizen who is claimed by Herodotus to have surpassed all other men in refined luxury. Diodorus describes him as the wealthiest suitor for the daughter of Cleisthenes of Sicyon. He sailed from Sybaris to Sicyon in a ship of fifty oars manned by his own slaves and surpassed even Cleisthenes himself in luxury. Athenaeus makes the claim that his entourage consisted of thousand slaves, fisherman, bird-catchers and cooks. However, his information must be false because he claims to cite Herodotus, who does not mention such a number. Claudius Aelianus even alleges that Smyndirides could not sleep on a bed of rose petals because it gave him blisters. Another Sybarite who is known by name is Alcimenes. A Pseudo-Aristotle mentions that it was said he dedicated a very expensive cloak as a votive offering at the temple of Lacinian Hera. Here Athenaeus distorts the information too: he treats the story as genuine rather than hearsay and attributes it to the real Aristotle. Justin mentions an alliance of Sybaris with the other Achaean colonies Metapontum and Kroton against the Ionian colony Siris. This resulted in the conquest of Siris in the middle of the sixth century BC. In the second half of the sixth century BC Sybaris started minting its first coins, of which the oldest have been dated to approximately 530 BC. These coins employed the Achaean weight standard which was shared with the other Achaean colonies Kroton, Caulonia and Metapontum. Diodorus Siculus writes that the oligarchic government of the city was overthrown in 510/09 BC by a popular leader named Telys (Herodotus describes him as a tyrant). He persuaded the Sybarites to exile the 500 richest citizens and confiscate their wealth. The exiled citizens took refuge at the altars of Kroton. Telys demanded the Krotoniates return the exiles under threat of war. The Krotoniates were inclined to surrender the exiles to avoid war, but Pythagoras convinced them to protect the suppliants. As a consequence the Sybarites marched with 300,000 men upon the Krotoniates, whose army led by Milo numbered 100,000. The army sizes given by Diodorus (shared with Strabo) must have been even more exaggerated than the population size. Even though they were greatly outnumbered, the Krotoniates won the battle and took no prisoners, killing most of the Sybarites. After their victory they plundered and razed Sybaris. According to Strabo either two months or nine days elapsed between the battle and the sack. Most likely the Sybarites executed Telys and his supporters during this time. Walter Burkert questions the veracity of the account given by Diodorus Siculus. It would have been illogical for Telys to banish his opponents first and then to demand their return. He argues that the elements of the story resemble fictional tragedies. The version of Herodotus is more brief and doesn't involve Pythagoras, but does claim that the Krotoniates received help from Dorieus. Strabo claims that the Krotoniates diverted the course of the river Crathis to submerge Sybaris. The Crati transports coarse sand and pebbles in its channel. If Strabo's claim is true, that material would have been deposited as sediment above the city when the river submerged it. An analysis of core samples taken from the site did not find such river deposits directly above the former city. The burial of Sybaris more likely resulted from natural processes such as fluvial overbank alluviation. After its destruction the surviving inhabitants took refuge at their colonies Laüs and Scidrus. It is assumed some also fled to Poseidonia, because in the early fifth century Poseidonia's coins adopted the Achaean weight standard and the bull seen on Sybarite coins. A. J. Graham thinks it was plausible that the number of refugees was large enough for some kind of synoecism to have occurred between the Poseidonians and the Sybarites, possibly in the form of a sympolity. Sybaris was not completely destroyed, as Diodorus and Strabo claimed, but became a dependent "ally" of Kroton. "Alliance" coins show the tripod symbol of Kroton on one side and the bull symbol of Sybaris on the other side. 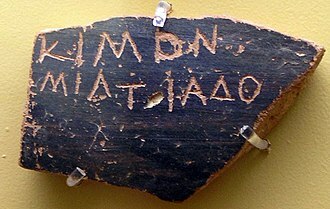 Literary evidence from Aristoxenus attests of Pythagoreans who apparently moved to Sybaris after its subjugation by Kroton. Diodorus Siculus mentions that Kroton besieged Sybaris again in 476/5 BC. The Sybarites appealed to the tyrant Hiero I of Syracuse for help. Hiero put his brother Polyzelos in command of an army to relieve the Sybarites, expecting that he would be killed by the Krotoniates. Polyzelos suspected this, refused to lead the campaign and took refuge with the tyrant Theron of Acragas. Diodorus makes no further mention of Hiero's plan to relieve Sybaris, indicating that the Sybarites were defeated again. However, according to Timaeus and two scholia Polyzelos was successful in relieving the siege of Sybaris and fled to Acragas later when he was accused of plotting revolution. Nomos of Sybaris, c. 452–446 BC. Poseidon with a trident is on the obverse and the bull symbol on the reverse, suggesting a link with Poseidonia. Regardless of the results of the siege of 476 BC, it seems the Sybarites had to leave their city at some point between that year and 452/1 BC. Diodorus writes that the Sybarites refounded their city at its former site in 452/1 BC under the leadership of a Thessalian. It is thought that Poseidonia had a major share in this because the coins of the new city have a great resemblance to those of Poseidonia. Possibly a treaty of friendship between Sybaris, its allies and the Serdaioi (an unknown people) dates to this new foundation, because Poseidonia was the guarantor of this treaty. Ultimately the Sybarites were again driven off by the Krotoniates from their new city in 446/5 BC. What happened next is again uncertain. According to Diodorus the Sybarites requested Sparta and Athens to help them reoccupy their city. With the help of Athens and some other cities in the Peloponnese they founded the city of Thurii not far from the site of Sybaris. Soon a conflict arose between the Sybarites and the other colonists of Thurii over the privileges the Sybarites enjoyed. Practically all of the Sybarites were killed by the other colonists, who were more numerous and powerful. Some of the Sybarites managed to flee and founded Sybaris on the Traeis shortly after 444 BC. The request for help from the Sybarites must have been made after the conclusion of the Thirty Years' Peace in the early spring of 445 BC, for it would not have made sense to ask for help while Sparta and Athens were still at war with each other. 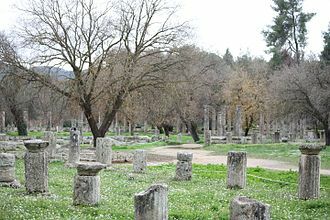 While Diodorus identifies only one expedition for the foundation of Thurii, Strabo writes that the Athenian and other Greek colonists first lived in Sybaris and only founded Thurii after the expulsion of the Sybarites. Modern scholarship corroborates Strabo's account and identifies two expeditions. In 446/5 BC Athens sent its expedition to reinforce the existing population of Sybaris. In the summer of 445 BC the collision between the two groups led to the downfall of the Sybarites. In 444/3 BC the Athenians and other new colonists then turned the city into a new foundation called Thurii. The city received a new democratic constitution which made provisions for ten tribes, but which did not include the Sybarites. Not only does Athenaeus provide a great deal of examples to show the decadence of Sybarites, he also argues that their excessive luxury and sins led to their doom. According to Athenaeus ambassadors of the Sybarites (one of whom was named Amyris) consulted the oracle of Delphi, who prophesied that war and internal conflict awaited them if they would honor man more than the gods. Later he cites Phylarchus, who would have written that the Sybarites invoked the anger of Hera when they murdered thirty ambassadors from Kroton and left them unburied. He also cites Herakleides as attributing the divine wrath to the murder of supporters of Telys on the altars of the gods. 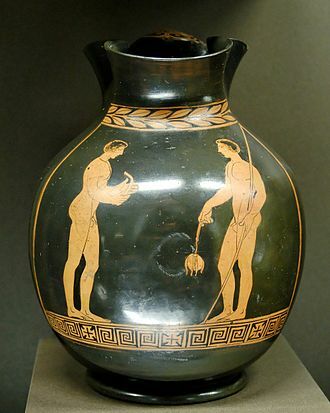 Herakleides supposedly mentioned that the Sybarites attempted to supplant the Olympic Games by attracting the athletes to their own public games with greater prizes. 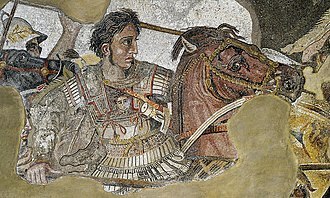 The most direct link between luxury and corruption is evident in Atheneaus' anecdote about the defeat of the Sybarites: to amuse themselves the Sybarite cavalrymen trained their horses to dance to flute music. 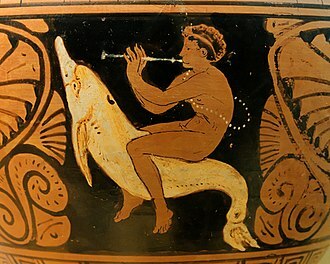 When the Krotoniate army had their flute players make music the horses of the Sybarites ran over to the Krotoniates along with their riders. Strabo gives the "luxury and insolence" of the Sybarites as the reason for their defeat. Claudius Aelianus attributes the fall of Sybaris to its luxury and the murder of a lutenist at the altar of Hera. Vanessa Gorman gives no credence to these accounts because grave sins followed by divine retribution were stock elements of fictions at the time. Furthermore, she and Robert Gorman point to Athenaeus as the origin of the embellished accounts rather than the historians he cited. He altered details of the original accounts, disguised his own contributions as those of past historians and invented new information to fit his argument that luxury leads to catastrophe. This concept was called tryphé and was a popular belief in his time, at the turn of the 2nd century AD. Peter Green likewise argues that these accounts are most likely the inventions of moralists. He points out the vast natural wealth of the city was the more likely reason it was attacked by Kroton. This association of Sybaris with excessive luxury transferred to the English language, in which the words "sybarite" and "sybaritic" have become bywords for opulent luxury and outrageous pleasure seeking. One story, mentioned in Samuel Johnson's A Dictionary of the English Language, alludes to Aelianus' anecdote about Smindyrides. It mentions a Sybarite sleeping on a bed of rose petals, but unable to get to sleep because one of the petals was folded over. 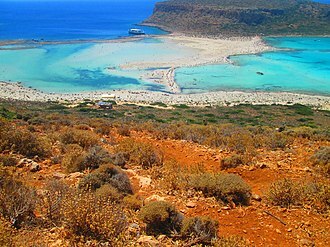 The earliest archaeological exploration in the last quarter of the 19th century failed to find the location of Sybaris. Finding the location was difficult because the site had been buried over time by more than four meters of alluvial sediment from the Crati delta. The location of the city was found only after a massive core drilling project had been undertaken from the early to mid-1960s. The archaeological site is located about 2.5 kilometers west of the present Gulf of Taranto coastline. The excavations were difficult because the human structures lay below groundwater level. It was found that the later cities of Thurii and Copia were built partially above Sybaris. An archaeological museum was built near the site. ^ This article frequently makes use of Athenian archon years which were used by Diodorus Siculus, who is the most important primary source for information on Sybaris. These years ran from July to June. ^ The Greek text on the coins contains the archaic letter digamma. This letter is transliterated as "W" in English, but resembles the English letter "F", which is the reason why the text is also transliterated as Fiis. By about the eighth century BC, the letter digamma had disappeared in many Greek dialects, so Wiis would become Is because the two i's would be run together. ^ Strabo 1924, 6.1.13; Diodorus Siculus 2010, p. 189, 12.9.2. ^ Stanley & Bernasconi 2009, p. 76, 82. ^ a b c d e Strabo 1924, 6.1.13. ^ Hall 2008, p. 411. ^ Greco 2011, p. 238–239. ^ Diodorus Siculus 2010, p. 189, 12.9.1–2. ^ Diodorus Siculus 2010, p. 189–190, footnote 43. ^ Hansen 2004, p. 34. ^ Papadopoulos 2002, p. 30. ^ Kleibrink, Jacobsen & Handberg 2004, p. 63. ^ Strabo 1924, 6.1.1; Herodotus 1920, 6.21.1. ^ a b Herodotus 1920, 6.21.1. ^ Cerchiai, Jannelli & Longo 2004, p. 62. ^ Diodorus Siculus 1939, 8.18–19. ^ Gorman & Gorman 2007, p. 39–40. ^ Claudius Aelianus 1665, 9.24. ^ Athenaeus 1854, 12.58; Gorman & Gorman 2007, p. 48–49. ^ Justin 1853, 20.2; Wilson 2013, p. 443. ^ Papadopoulos 2002, p. 38. ^ a b Herodotus 1920, 5.44. ^ Diodorus Siculus 2010, pp. 190–191, 12.9.1–12.10.1, footnote 46 and 48; Strabo 1924, 6.1.13. ^ Burkert 1972; Zhmud 2012, p. 96. ^ Stanley & Bernasconi 2009, p. 82. ^ Graham 1999, p. 114. ^ Zhmud 2012, p. 97. ^ Diodorus Siculus 2010, pp. 107–108, 11.48.1–5. ^ Rhodes 2006, p. 75; Diodorus Siculus 2010, pp. 108–109, footnote 185. ^ Diodorus Siculus 2010, p. 173, 11.90.3; Diodorus Siculus 2010, pp. 191–192, 12.10.2. ^ Rutter 1970, p. 173. ^ Diodorus Siculus 2010, p. 173, 11.90.4; Diodorus Siculus 2010, pp. 191–192, 12.10.2. ^ Diodorus Siculus 2010, pp. 192–195, 12.10.2–12.11.2. ^ Diodorus Siculus 2010, 12.22.1; Wonder 2012, p. 133. ^ Diodorus Siculus 2010, pp. 192, footnote 50. ^ Diodorus Siculus 2010, pp. 192–194, footnotes 51, 54 and 57; Lewis 1992, pp. 141–142. ^ Athenaeus 1854, 12.17, 12.20. ^ Claudius Aelianus 1665, 1.19, 3.43. ^ Gorman 2001, p. 106. ^ Gorman & Gorman 2007, p. 47–54, 59. ^ Diodorus Siculus 2010, pp. 189–190, footnote 43. ^ Johnson 1830, p. 907. ^ Stanley & Bernasconi 2009, p. 75–76. Aristotle (1932). Rackham, H. (ed.). Politics. Aristotle. 21. Cambridge, Massachusetts: Harvard University Press. ISBN 978-0-674-99291-7. 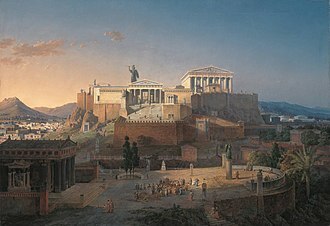 Athenaeus (1854). Yonge, C. D. (ed.). The Deipnosophists; or, Banquet of the learned, of Athenaeus. 3. London: Henry G. Bohn. Claudius Aelianus (1665). Stanley, Thomas (ed.). Ælian his Various History. London: Thomas Dring. Diodorus Siculus (1939). Oldfather, C. H. (ed.). Library of History. 3. Cambridge, Massachusetts: Harvard University Press. ISBN 978-0-674-99375-4. ——— (2010). Green, Peter (ed.). Books 11-12.37.1: Greek History 480-431 B.C., the Alternative Version. Austin, Texas: University of Texas Press. ISBN 978-0-292-71277-5. Herodotus (1922). Godley, A. D. (ed.). The Persian Wars. 3. Cambridge, Massachusetts: Harvard University Press. ISBN 978-0-674-99133-0. Justin (1853). Watson, John Selby (ed.). Epitome of the Philippic History of Pompeius Trogus. London: Henry G. Bohn. 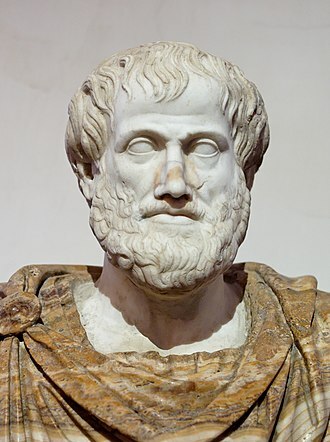 Pseudo-Aristotle (1936). "On Marvellous Things Heard". In Hett, W. S. (ed.). Minor Works. Aristotle. 14. Cambridge, Massachusetts: Harvard University Press. ISBN 978-0-674-99338-9. Solinus (1895). Mommsen, Theodor (ed.). De mirabilibus mundi. Strabo (1924). Jones, H. L. (ed.). Geography. 3. Cambridge, Massachusetts: Harvard University Press. ISBN 978-0-674-99201-6. Varro (1934). "Res Rustica". In Hooper, W. D.; Ash, Harrison Boyd (eds.). On Agriculture. Cambridge, Massachusetts: Harvard University Press. ISBN 978-0-674-99313-6. Burkert, Walter (1972). Lore and Science in Ancient Pythagoreanism. Harvard University Press. ISBN 978-0-674-53918-1. Cerchiai, Luca; Jannelli, Lorena; Longo, Fausto, eds. (2004). 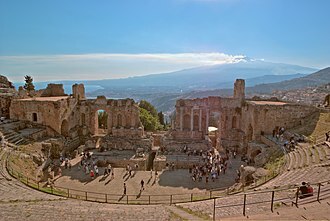 The Greek Cities of Magna Graecia and Sicily. Translated from Italian by the J. Paul Getty Trust. Los Angeles, California: Getty Publications. ISBN 978-0-89236-751-1. Gorman, Robert J.; Gorman, Vanessa B. (2007). 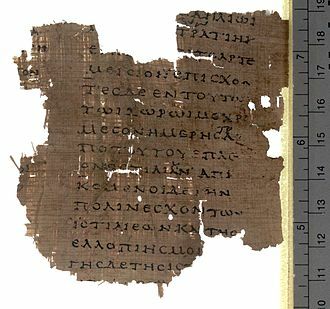 "The Tryphê of the Sybarites: A Historiographical Problem in Athenaeus". The Journal of Hellenic Studies. 127: 38–60. doi:10.1017/S0075426900001609. Gorman, Vanessa B. (2001). Miletos, the Ornament of Ionia: A History of the City to 400 B.C.E. Ann Arbor: University of Michigan Press. ISBN 978-0-472-11199-2. Graham, A. J. (1999). Colony and Mother City in Ancient Greece. Manchester, England: Manchester University Press. ISBN 978-0-7190-5739-7. 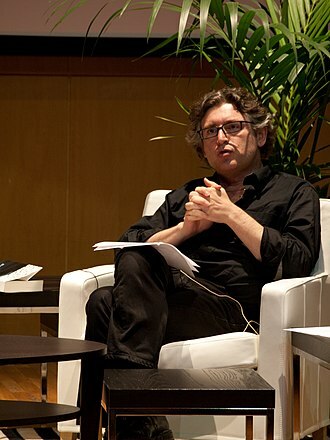 Greco, Emanuele (2011). "On the Origin of the Western Greek Poleis" (PDF). Ancient West & East. 10. doi:10.2143/AWE.10.0.2141822. Hall, Jonathan M. (2008). "Foundation Stories". In Tsetskhladze, Gocha R. (ed.). Greek Colonisation: An Account of Greek Colonies and Other Settlements Overseas. 2. Leiden: Brill. pp. 383–426. ISBN 978-90-04-15576-3. 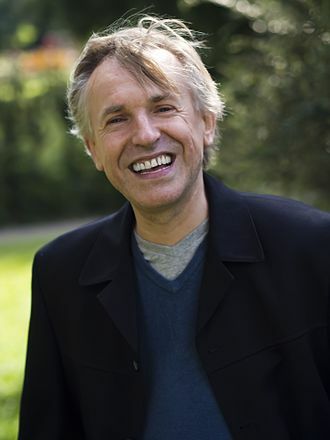 Hansen, Mogens Herman (2004). "The Concept of the Consumption City Applied to the Greek Polis". In Nielsen, Thomas Heine (ed.). Once Again: Studies in the Ancient Greek Polis. Historia Einzelschriften. 180. Stuttgart: Franz Steiner Verlag. ISBN 978-3-515-08438-3. Johnson, Samuel (1830). Johnson's English Dictionary, as Improved by Todd and Abridged by Chalmers. Boston: Perkins and Marvin. Kleibrink, Marianne; Jacobsen, Jan Kindberg; Handberg, Søren (2004). "Water for Athena: Votive Gifts at Lagaria (Timpone della Motta, Francavilla Marittima, Calabria)" (PDF). World Archaeology. 36 (1): 43–67. doi:10.1080/0043824042000192669. JSTOR 4128302. Lewis, David Malcolm (1992). "The Thirty Year's Peace". In Lewis, David Malcolm; Boardman, John (eds.). The Fifth Century B.C. The Cambridge Ancient History. 5. Cambridge, United Kingdom: Cambridge University Press. ISBN 978-0-521-23347-7. Papadopoulos, John K. (2002). "Minting Identity: Coinage, Ideology and the Economics of Colonization in Akhaina Magna Graecia". Cambridge Archaeological Journal. 12: 21–55. doi:10.1017/S0959774302000021. Rhodes, P. J. (2006). A History of the Classical Greek World: 478–323 BC. Blackwell History of the Ancient World. 11. Blackwell Publishing. ISBN 978-0-631-22564-5. Rutter, N. K. (1970). "Sybaris—Legend and Reality". Greece and Rome. 17 (2): 168–176. doi:10.1017/S0017383500017836. JSTOR 642759. Stanley, Jean-Daniel; Bernasconi, Maria Pia (2009). "Sybaris-Thuri-Copia trilogy: three delta coastal sites become land-locked". Méditerranée (112): 75–86. doi:10.4000/mediterranee.3190. Wilson, Nigel, ed. (2013). 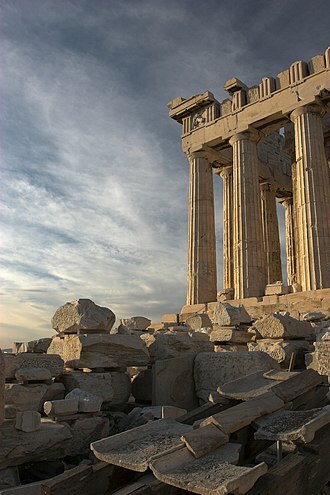 Encyclopedia of Ancient Greece. New York City, New York: Routledge. ISBN 978-1-136-78800-0. Wonder, John W. (2012). "The Italiote League: South Italian Alliances of the Fifth and Fourth Centuries BC". Classical Antiquity. 31 (1): 128–151. doi:10.1525/CA.2012.31.1.128. Zhmud, Leonid (2012). Pythagoras and the Early Pythagoreans. Oxford, United Kingdom: Oxford University Press. ISBN 978-0-19-928931-8. Bullitt, Orville H. (1969). Search for Sybaris. Philadelphia: Lippincott. Cucci, Luigi (2005). "Geology versus myth: the Holocene evolution of the Sybaris Plain" (PDF). Annals of Geophysics. 48 (6). Ferranti, Luigi; Pagliarulo, Rossella; Antonioli, Fabrizio; Randisi, Andrea (2011). ""Punishment for the Sinner": Holocene episodic subsidence and steady tectonic motion at ancient Sybaris (Calabria, southern Italy)". Quaternary International. 232 (1–2): 56–70. doi:10.1016/j.quaint.2010.07.014. Kleibrink, Marianne (2001). "The Search for Sybaris: An Evaluation of Historical and Archaeological Evidence". Babesch. 76 (1): 33–70. doi:10.2143/BAB.76.0.76. Rainey, Froelich G.; Lerici, Carlo M., eds. (1967). The Search for Sybaris, 1960–1965. University Museum Monographs. 29. University Museum Publications. ISBN 978-0-934718-21-9. Wikimedia Commons has media related to Sybaris. Paestum was a major ancient Greek city on the coast of the Tyrrhenian Sea in Magna Graecia. The ruins of Paestum are famous for their three ancient Greek temples in the Doric order, dating from about 600 to 450 BC, the city walls and amphitheatre are largely intact, and the bottom of the walls of many other structures remain, as well as paved roads. The site is open to the public, and there is a national museum within it. After its foundation by Greek colonists under the name of Poseidonia it was conquered by the local Lucanians. The Lucanians renamed it to Paistos and the Romans gave the city its current name, as Pesto or Paestum, the town became a bishopric, but it was abandoned in the Early Middle Ages, and left undisturbed and largely forgotten until the eighteenth century. 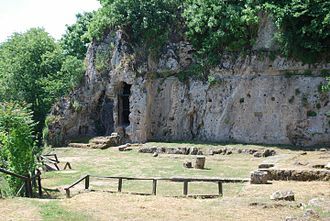 Today the remains of the city are found in the frazione of Paestum. The modern settlement, directly to the south of the site, is a popular seaside resort. 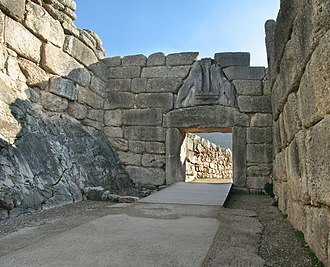 Much the most celebrated features of the site today are the three temples in the Archaic version of the Greek Doric order, dating from about 550 to 450 BC. All are typical of the period, with massive colonnades having a pronounced entasis. Above the columns, only the second Temple of Hera retains most of its entablature, the two temples of Hera are right next to each other, while the Temple of Athena is on the other side of the town center. There were other temples, both Greek and Roman, which are far less well-preserved, Paestum is far from any sources of good marble. The three main temples had few stone reliefs, perhaps using painting instead, painted terracotta was for some detailed parts of the structure. The large pieces of terracotta that have survived are in the museum, the whole ancient city of Paestum covers an area of approximately 120 hectares. It is only the 25 hectares that contain the three temples and the other main buildings that have been excavated. The other 95 hectares remain on land and have not been excavated. The city is surrounded by walls that still stand. The walls are approximately 4750 m long,5 –7 m thick and 15 m high, positioned along the wall are 24 square and round towers. Ajax was a Greek mythological hero, son of Oileus, the king of Locris. He was called the lesser or Locrian Ajax, to him from Ajax the Great. He was the leader of the Locrian contingent during the Trojan War and he is a significant figure in Homers Iliad and is mentioned in the Odyssey, in Virgils Aeneid and in Euripides The Trojan Women. In Etruscan legend, he was known as Aivas Vilates, according to Strabo, he was born in Naryx in Locris, where Ovid calls him Narycius Heroes. According to the Iliad, he led his Locrians in forty ships against Troy and he is described as one of the great heroes among the Greeks. In battle, he wore a cuirass, was brave and intrepid, especially skilled in throwing the spear and, next to Achilles. On his return from Troy, his vessel was wrecked on the Whirling Rocks and he would have been saved in spite of Athena, but he said that he would escape the dangers of the sea in defiance of the immortals. 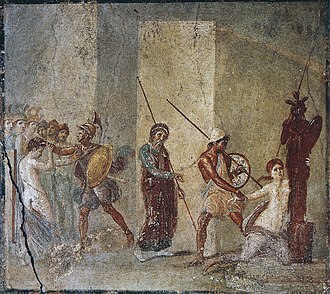 In punishment for this presumption, Poseidon split the rock with his trident, in traditions, this Ajax is called a son of Oileus and the nymph Rhene and is mentioned among the suitors of Helen. 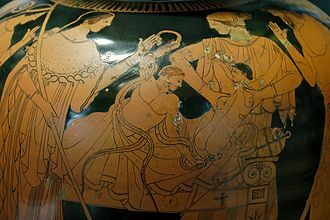 After the taking of Troy, he rushed into the temple of Athena, where Cassandra had taken refuge, Ajax violently dragged her away to the other captives. According to some writers, he raped Cassandra inside the temple, accused him of this crime and Ajax was to be stoned to death, but saved himself by establishing his innocence with an oath to Athena, clutching her statue in supplication. 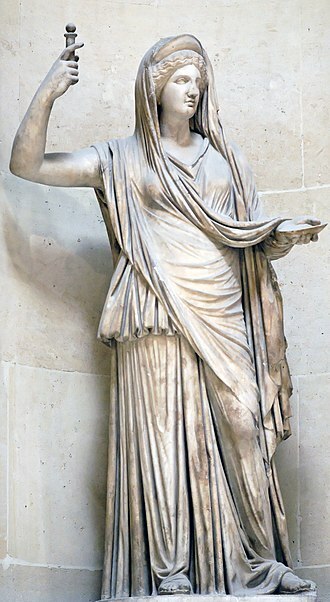 Since Ajax dragged a supplicant from her temple, Athena had cause to be indignant, despite this, Ajax managed to hide in the altar of a deity where the Greeks, fearing divine retribution should they kill him and destroy the altar, allowed him to live. When the Greeks left without killing Ajax, despite their sacrifices, when Ajax finally left Troy during the Returns from Troy, Athena hit his ship with a thunderbolt, but Ajax still survived with some of his men, managing to cling onto a rock. He boasted that even the gods could not kill him and Poseidon, upon hearing this, split the rock with his trident, thetis buried him when the corpse washed up on Myconos. A lagoon is a shallow body of water separated from a larger body of water by barrier islands or reefs. Lagoons are commonly divided into coastal lagoons and atoll lagoons and they have been identified as occurring on mixed-sand and gravel coastlines. There is an overlap between bodies of water classified as coastal lagoons and bodies of water classified as estuaries, lagoons are common coastal features around many parts of the world. Lagoons can be man-made and used for treatment, as is the case for e. g. aerated lagoons. Lagoons are shallow, often elongated bodies of water separated from a body of water by a shallow or exposed shoal, coral reef. Some authorities include fresh water bodies in the definition of lagoon, the distinction between lagoon and estuary varies between authorities. Richard A. Davis Jr. restricts lagoon to bodies of water with little or no fresh water inflow, and little or no tidal flow, Davis does state that the terms lagoon and estuary are often loosely applied, even in scientific literature. Timothy M. Kusky characterizes lagoons as normally being elongated parallel to the coast, while estuaries are usually drowned river valleys, coastal lagoons are classified as inland bodies of water. Many lagoons do not include lagoon in their common names, in England, The Fleet at Chesil Beach has been described as a lagoon. In Latin America, the term laguna in Spanish, which translates to. However, sometimes it is used to describe a full-sized lake, such as Laguna Catemaco in Mexico. 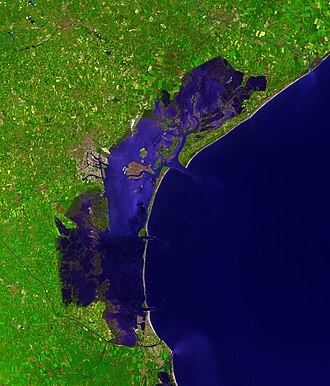 The brackish water lagoon may be explicitly identified as a coastal lagoon. In Portuguese the same usage is found, lagoa may be a body of sea water. Lagoon is derived from the Italian laguna, which refers to the waters around Venice, Laguna is attested in English by at least 1612, and had been Anglicized to lagune by 1673. 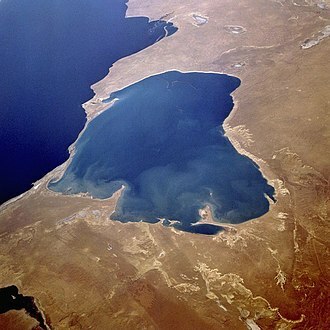 In 1697 William Dampier referred to a Lagune or Lake of Salt water on the coast of Mexico, captain James Cook described an island of Oval form with a Lagoon in the middle in 1769. 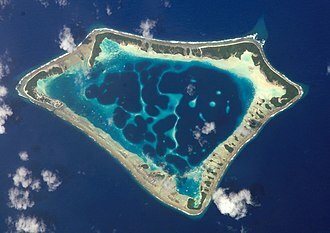 Atoll lagoons form as coral reefs grow upwards while the islands that the reefs surround subside, unlike the lagoons that form shoreward of fringing reefs, atoll lagoons often contain some deep portions. 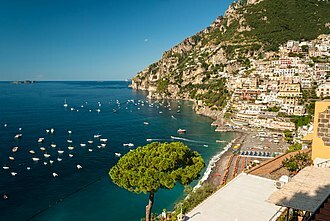 The Tyrrhenian Sea is part of the Mediterranean Sea off the western coast of Italy. It is named for the Tyrrhenian people, identified since the 6th century BCE with the Etruscans of Italy, the sea is bounded by the islands of Corsica and Sardinia, the Italian peninsula to the east, and the island of Sicily. The maximum depth of the sea is 3,785 metres, the Tyrrhenian Sea is situated near where the African and Eurasian Plates meet, therefore mountain chains and active volcanoes such as Mount Marsili are found in its depths. The eight Aeolian Islands and Ustica are located in the part of the sea. On the Southwest, A line running from Cape Lilibeo to the South extreme of Cape Teulada in Sardinia, in the Strait of Bonifacio, A line joining the West extreme of Cape Testa in Sardinia with the Southwest extreme of Cape Feno in Corsica. On the North, A line joining Cape Corse in Corsica, with Tinetto Island and thence through Tino, there are four exits from the Tyrrhenian Sea, The Tyrrhenian Basin is divided into two basins, the Vavilov plain and the Marsili plain. Hedonism is a school of thought that argues that pleasure and happiness are the primary or most important intrinsic goods and the proper aim of human life. A hedonist strives to maximize net pleasure, but when finally gained of that pleasure, either through intrinsic or extrinsic goods, ethical hedonism is the idea that all people have the right to do everything in their power to achieve the greatest amount of pleasure possible to them. It is the idea that every persons pleasure should far surpass their amount of pain, ethical hedonism is said to have been started by Aristippus of Cyrene, a student of Socrates. He held the idea that pleasure is the highest good, Hedonism is a sub philosophy of utilitarianism, which says to act in a way that maximizes utility. Hedonists equate pleasure with utility and believe that pleasure is the master of all humankind, the name derives from the Greek word for delight. An extremely strong aversion to hedonism is hedonophobia, in the original Old Babylonian version of the Epic of Gilgamesh, which was written soon after the invention of writing, Siduri gave the following advice Fill your belly. Dance and make music day and night These things alone are the concern of men, the following is a song attributed to the reign of one of the Pharoahs around the time of the 12th dynasty, and the text was used in the eighteenth and nineteenth dynasties. The school was so called after Cyrene, the birthplace of Aristippus and it was one of the earliest Socratic schools. The Cyrenaics taught that the only good is pleasure, which meant not just the absence of pain. Of these, momentary pleasures, especially physical ones, are stronger than those of anticipation or memory and they did, recognize the value of social obligation, and that pleasure could be gained from altruism. Theodorus the Atheist was an exponent of hedonism who was a disciple of younger Aristippus. The school died out within a century, and was replaced by Epicureanism, the Cyrenaics were known for their skeptical theory of knowledge. They reduced logic to a doctrine concerning the criterion of truth. They thought that we can know with certainty our immediate sense-experiences and they denied that we can have knowledge of what the experiences of other people are like. Metapontum or Metapontium was an important city of Magna Graecia, situated on the gulf of Tarentum, between the river Bradanus and the Casuentus. It was distant about 20 km from Heraclea and 40 from Tarentum, the ruins of Metapontum are located in the frazione of Metaponto, in the comune of Bernalda, in the Province of Matera, Basilicata region, Italy. Though Metapontum was an ancient Greek Achaean colony, various traditions assigned to it an earlier origin. Another tradition, reported by Ephorus, assigned to it a Phocian origin, and called Daulius, Other legends carried back its origin to a still more remote period. With this view a colony was sent from the mother-country, under the command of a leader named Leucippus and it may probably be referred to about 700-690 BCE. The war seems to have ended in the capture and destruction of Siris, but our account of it is obscure. 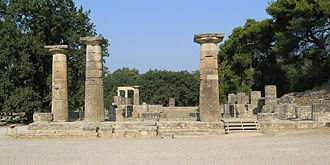 Metapontum, appears to have one of the cities where the doctrines. Even when the Pythagoreans were expelled from Crotona, they maintained themselves at Metapontum, whither the philosopher himself retired, and his tomb was still shown there in the days of Cicero. It seems clear that Metapontum was at time a flourishing and opulent city. 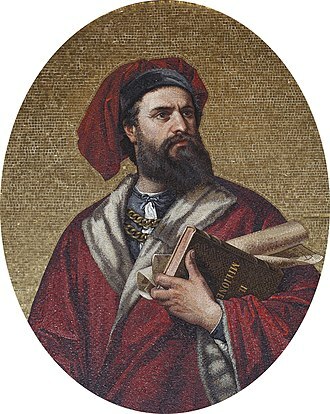 Its name is mentioned in 345 BCE, when Timoleon touched there on his expedition to Sicily. Hence, after his defeat and death at Pandosia,326 BCE and he was admitted into the city on friendly terms, but nevertheless exacted from them a large sum of money, and committed various other excesses. Their name is, again mentioned repeatedly in the Second Punic War, from this time the name of Metapontum does not again appear prominently in classical history, and it seems certain that it never recovered from the blow thus inflicted on it. But it did not altogether cease to exist, for its name is found in Pomponius Mela who does not notice any extinct places, the site was probably already subject to malaria, and from the same cause has remained desolate ever since. The fertility of its territory, especially in the growth of corn, hence we are told that the Metapontines sent to the temple at Delphi an offering of a golden harvest, by which we must probably understand a sheaf or bundle of corn wrought in gold. A wetland is a land area that is saturated with water, either permanently or seasonally, such that it takes on the characteristics of a distinct ecosystem. The primary factor that distinguishes wetlands from other forms or water bodies is the characteristic vegetation of aquatic plants. Wetlands play a number of roles in the environment, principally water purification, flood control, carbon sink, Wetlands are considered the most biologically diverse of all ecosystems, serving as home to a wide range of plant and animal life. Wetlands occur naturally on every continent except Antarctica, the largest including the Amazon River basin, the West Siberian Plain, the water found in wetlands can be freshwater, brackish, or saltwater. The main wetland types include swamps, marshes and fens, and sub-types include mangrove, pocosin, the UN Millennium Ecosystem Assessment determined that environmental degradation is more prominent within wetland systems than any other ecosystem on Earth. International conservation efforts are being used in conjunction with the development of rapid assessment tools to people about wetland issues. Constructed wetlands can be used to treat municipal and industrial wastewater as well as stormwater runoff and they may play a role in water-sensitive urban design. A patch of land that develops pools of water after a storm would not be considered a wetland. Wetlands have unique characteristics, they are distinguished from other water bodies or landforms based on their water level. Specifically, wetlands are characterized as having a table that stands at or near the land surface for a long enough period each year to support aquatic plants. A more concise definition is a community composed of hydric soil, Wetlands have been described as ecotones, providing a transition between dry land and water bodies. In environmental decision-making, there are subsets of definitions that are agreed upon to make regulatory and policy decisions. A wetland is an ecosystem that arises when inundation by water produces soils dominated by anaerobic processes, There are four main kinds of wetlands – marsh, swamp and fen. The Castle of Charles V.
Coin of Croton, c. 480-460 BC. Excavated area seen from the normal elevation of the surrounding landscape. Excavated remains of buildings, possibly from Thurii. Excavated mosaic floor with swastikas, possibly from Thurii. Palazzo del Governo, the provincial seat.